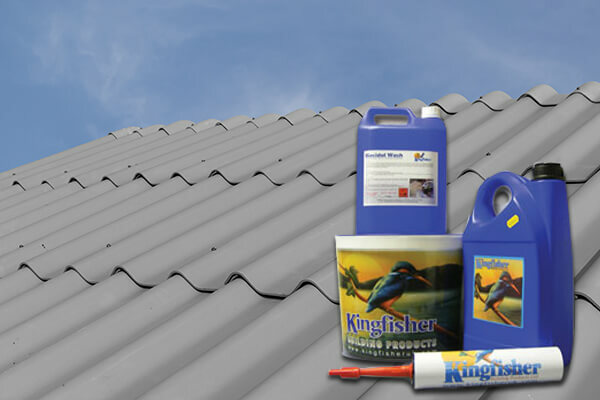 Kingfisher's Kolourseal Roof Tile Paint is a range of advanced 10-year polymer roof coatings. 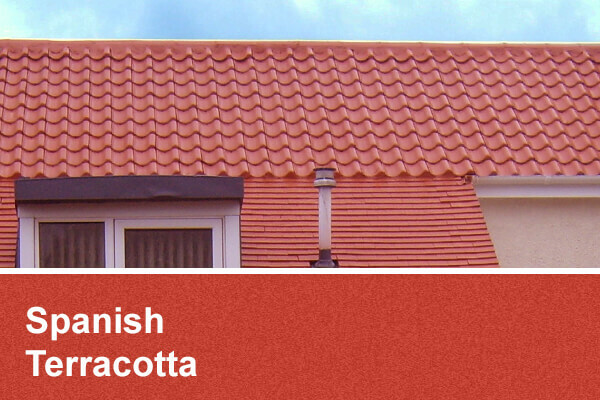 They are developed specifically for painting and repairing roof tiles, roof sheets and other roofing materials. 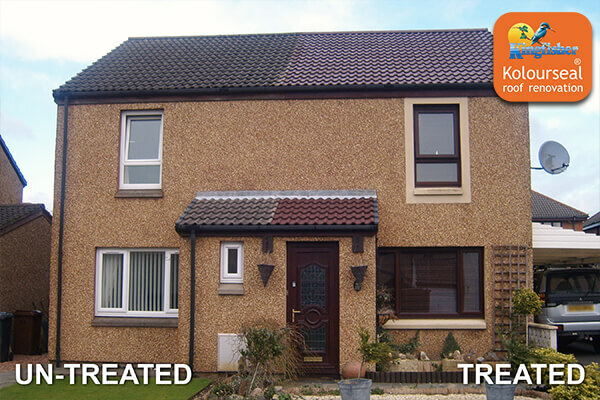 It acts as a roof tile sealant and colour restorer in a single treatment, repairing and protecting roof tiles. 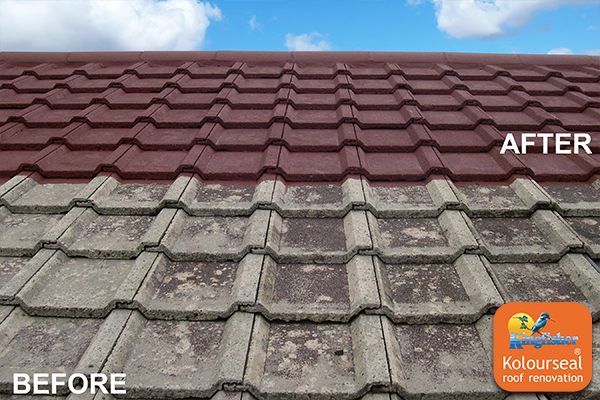 Formulated using premium grade UV light-fast dyes, our roof tile sealer re-seals porous clay and concrete roof tiles. 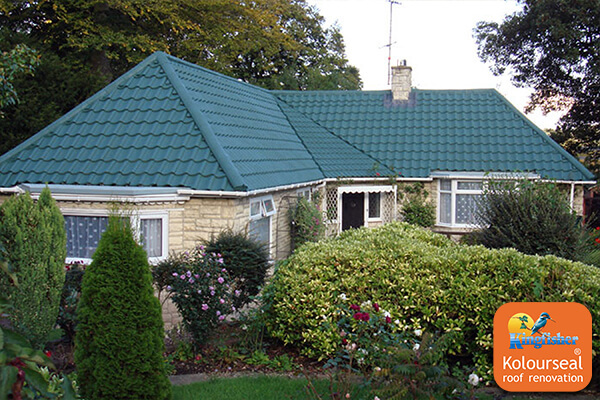 It adds spectacular depth of colour to all kinds of roofing materials. This includes concrete, clay, cement fibre and asbestos cement. 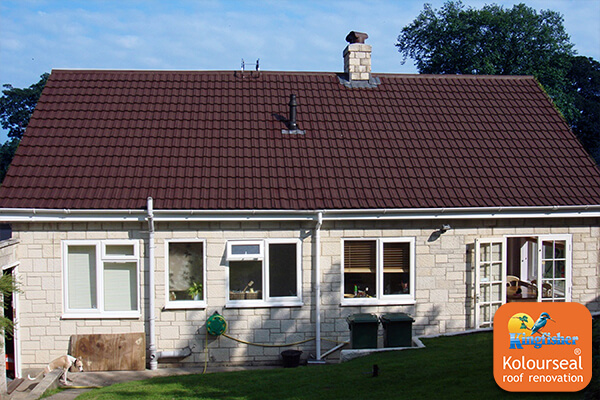 As roof tiles get older, they can start to look dull and tired. 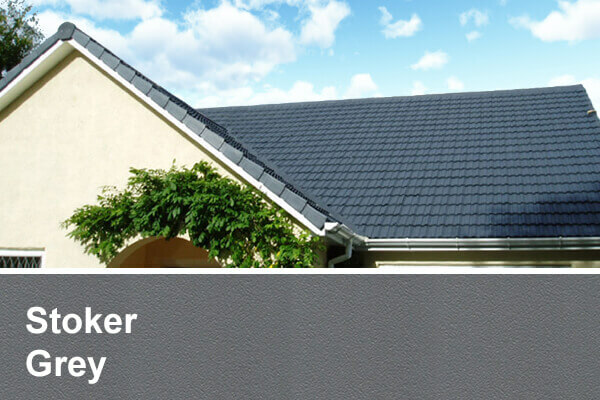 Our Flexible Roof Coating will enhance the life of your roof tiles, roof sheets and other roofing materials. 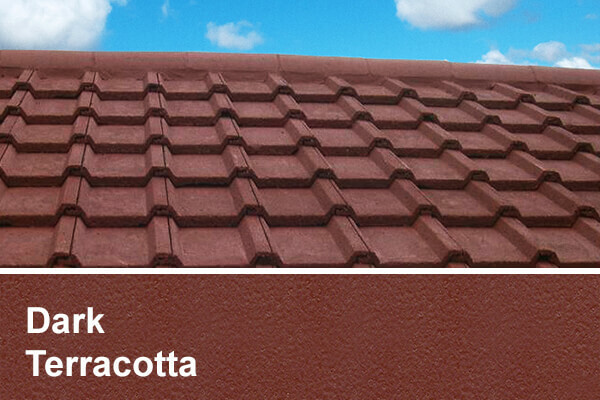 It will help to boost the colour of your roof, making them look like they have just been installed. With a wide range of colours available, we have every customer covered with this roof tile sealant. The often bleak and bitter weather in Britain means that your roof tiles are continuously exposed. Usually by weather like rain, sleet snow and frost, especially in the winter and autumn months. This means that over time, your roof can become less water resistant, so algae, lichens and moss develop. This will ruin the appearance of your roof and could lead to leaking gutters. That’s where our roof tile paint comes in, protecting your roof to the highest standard. 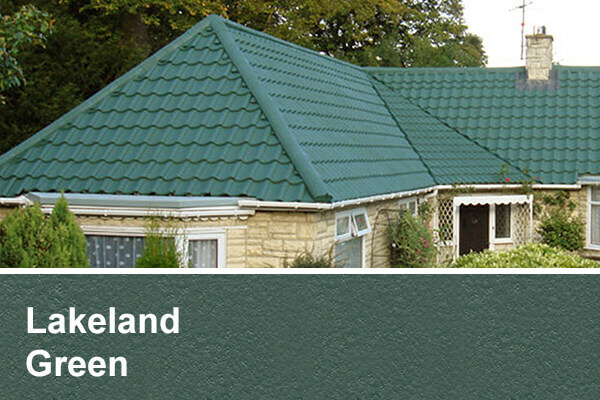 Kolourseal Roof Coatings have been developed at our Lakeland factory for the worst of the British climate. They are designed for a 10-year life and set new standards in severe weather protection. It should not be confused with cheaper roofing restoration products. That is because we supply only the highest quality roof coating products. 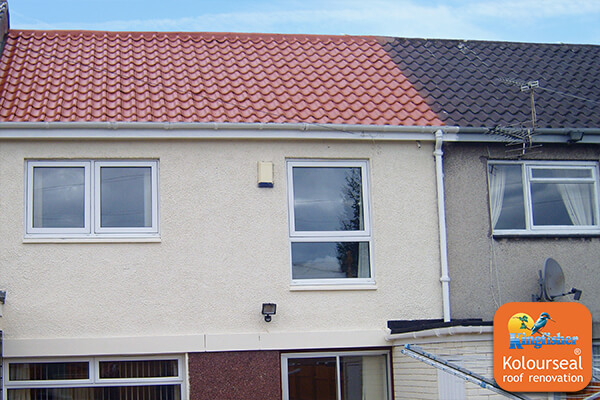 Homeowners are constantly updating the appearance of their roof, so our roof tile paint is ideal. 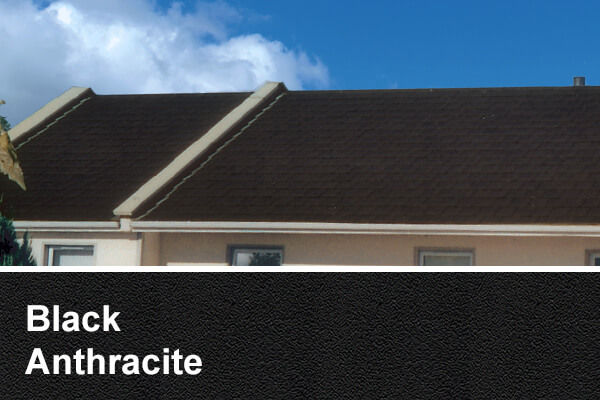 Our concrete and clay roof tile sealer is one of the cheapest methods of enhancing your roof. 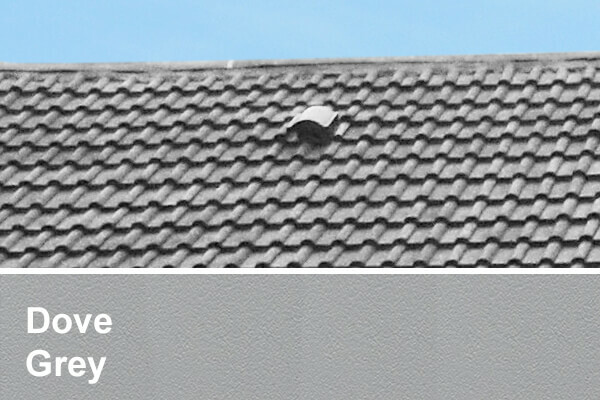 It will ensure that you don’t need to replace your roof tiles. 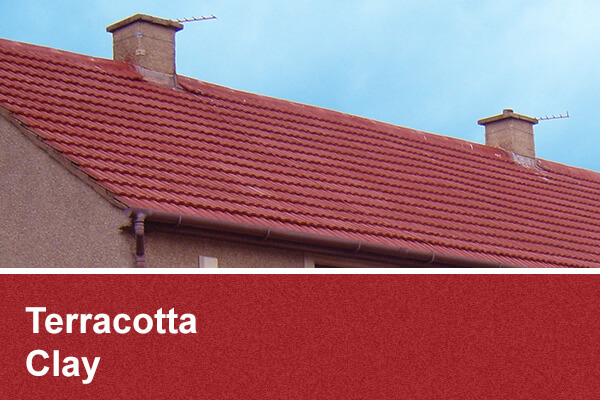 As a roof tile sealer paint, the range of Flexible Roof Coatings we supply is second to none. 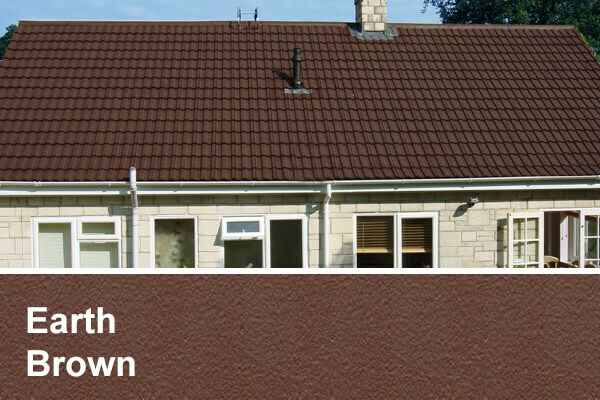 Using roof tile paint means there is no need for a tear-off or removal cost, saving customers money. They can also help reduce future maintenance costs over the lifespan of the building. For more information on how the Kolourseal Flexible Roof Coating can help you, don’t hesitate to contact us. I bought this paint to protect and prolong life of my roof tiles. Very easy to apply, by brush and sprayer, excellent coverage and instantly made a difference to appearance of the roof/house. rained the next day and you could visibly see the protection and water barrier .. Very pleased with this product and will certainly use other products from the range..and recommended to other users.. This is a first class quality roof coating.I know that it was a little more expensive than others that i found on the internet, but well worth the choosing. My double garage roof ( cement fibre corrugated board ) has, after i cleaned and painted it , an as new appearance. It was easy to apply with a brush, it is non-drip, it flowed beautifully, looks good and is a lovely earth brown colour. I am well happy and my garage feels drier inside. A lot cheaper than a new roof and long lasting..